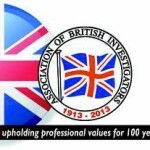 We recently penned a blog article for The Association of British Investigators, ‘Are your employees stealing time’ from their employers. 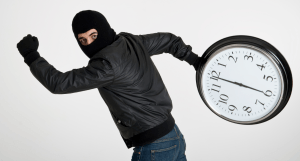 Let us make no mistake about it, stealing time is FRAUD and fraud within your business will have a significant detrimental effect on your business. Stealing time is wrong but it can be tackled by YOU! Although some of the above may seem quite minor, it is not until you look into them a little further that they become more serious. 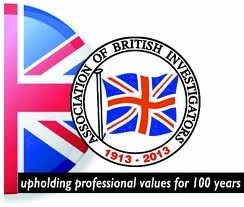 During a recent investigation within the food processing industry where members of staff were contracted to work 40 hrs per week, 0900 – 1700 Monday to Friday. The employees were observed not arriving at the location until 0915 and did not start any work until 0930. The machines were closed down and they were driving out the gates at by 1630. In this case, each employee is stealing 5 hours a week, the team we observed consisted of 8 individuals totaling a theft of 40 hours a week! What penalties are you paying for their tardy time keeping? There is nothing good that will come out of employees stealing time from you. None. consider the following. Loss of morale: co-workers do not like to see others ‘getting away with’ things. What will their reaction be? Will they themselves consider doing something similar? Could this then become endemic within the organisation? Loss of reputation: will your clients continue to work with you if you do not come in on time? We all know that people tell others when they have a good experience but you can be sure that they do the same, possibly with more vigor when they have a bad experience. Loss of good employees: will the ‘good guys’ stick around while the dross employees continue to drag the company down? Would your projects come in on time if your employees are stealing time? Would this have an impact on your other areas of business? Could this have an impact on your insurance? The term ‘guvvy job’ is a term that generally refers to tradesmen working outside of their normal employment for cash. It happens, it is commonplace and has been for decades and it is likely that the practice will continue but that does not mean that it has to continue in your business. You do not have to put up with your employees doing this but how is this relevant to the team of builders described above?In terms of their contracts maybe this is ok but is it ok if they are looking at these jobs on your time? You do not need to put up with employees who steal from you. Would you tolerate matters if you caught an employee stealing materials from you? What if you thought an employee was stealing your intellectual property? Would you take action in these circumstances? If the answer is no then why would you allow them to steal your time? Lateo Surveillance would be delighted to talk to you about the action that you can take.